Ken Brooks is a trial lawyer with more than three decades of business and commercial litigation experience. 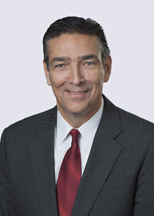 His practice includes representation of companies and executives in complex commercial litigation matters related to business torts, contracts, shareholder and partnership disputes, securities, insurance coverage, real estate, employment, construction, and regulatory matters. Ken has been listed as one of The Best Lawyers in America and a Michigan Super Lawyer since 2007, and he is the only lawyer in the greater Lansing area to be listed in the 2014 Michigan Super Lawyers Top 50 Business Lawyers.